A large part of the young population today is very keen about fitness and are almost religious about their workouts and runs. This set of youngsters is always on the lookout for good headphones that will be their constant companions right through their grueling workouts and runs. They also want the headsets to seamlessly be a part of their daily life too as they set about doing their things. The 1More iBFree Sport is for this set of people. Let us start with the design of the headset. 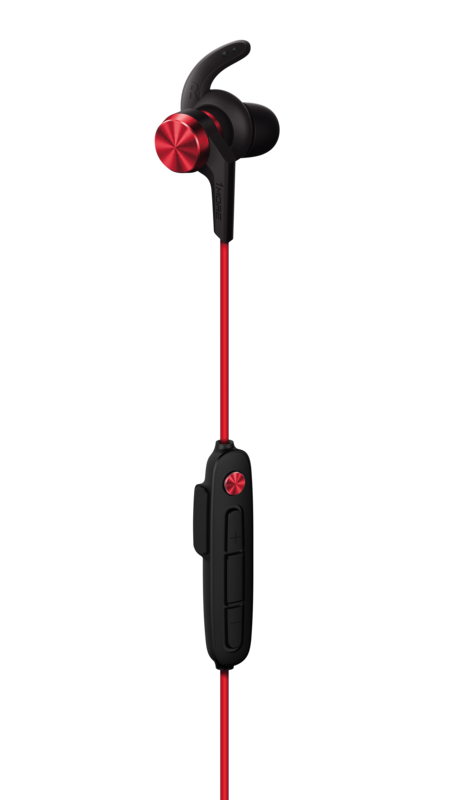 The iBFree Sport is available in two colour variants — Red and Black. For my review, I got the black variant and it looks very sporty and cool. I has a thoughtful and comfortable neckband type form factor, I liked the grip and feel a lot. I prefer the security of a cable around my neck as opposed to just two earbuds stuck into my ear. The cable is not at all flimsy and it easily took a lot of rough and tough usage without any damage whatsoever. The cable is a tad bit on stiff side out of the box and can irritate you as does not stay in shape. After I used it for a few days though, it got very soft and extremely comfy to use for prolonged time. Coming to the actual buds, 1More has put a lot of creative effort into it by by adding a concentric circular design on the rear.They have a metal chamber and hence look classy and are highly durable. These are in-ear and come with three different sized silicone tips and hooks for a custom fit. Swapping them out was a breeze and changes were simply easy till I got the right fit. I loved the hooks here as they were really soft and kept the earphones secure and snug in the ears. The earbuds are designed with your ear in mind and they gently curve into the path in your ears. They sit well in and do not budge at all from their positions even when someone is exercising or running very vigorously. Full marks to the design and build team. Looks neat and fits perfectly. Absolutely no fatigue is felt even on very long time usage. All in all, very good in the build and design department. The in-line controls on the headset have been designed very thoughtfully. Unlike most common headsets, where we generally get to see a combined button (Play/Pause – Power/Pairing) for powering it on or off. 1More has added a dedicated button to easily turn the earphones off. So, at the end of very long sessions of workout or when you are very tired or sleepy, you don’t have to fidget around with too many buttons to quickly turn it off. That makes the button very convenient. The headset has the standard AVRCP buttons for volume and multi-function. The charging port is located on the side and has a flap that is water and dust proof to give durability and security to the charging point. 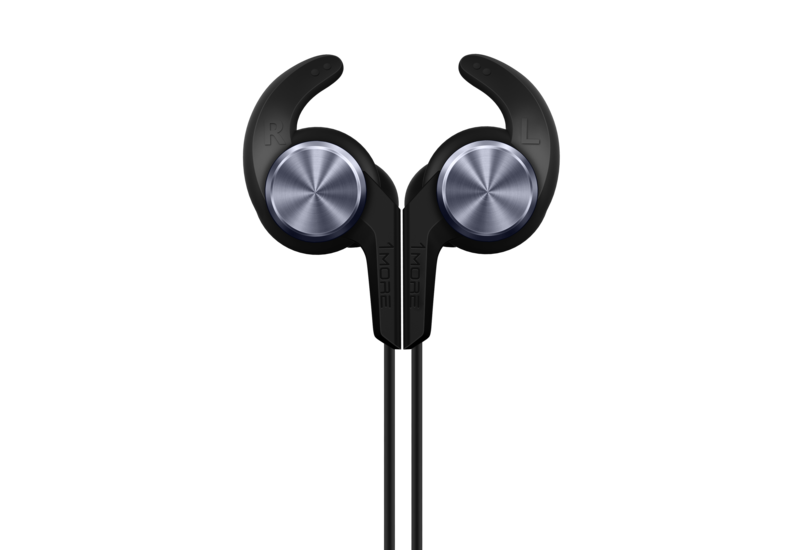 The 1More iBFree Sport Bluetooth wireless has a lot of interesting features, the biggest USP here is the IPX6 certification. 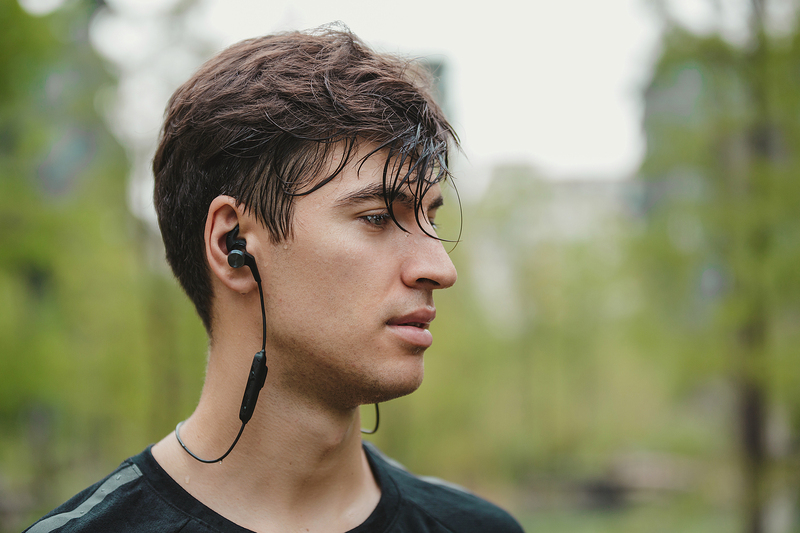 This means that a user can simply go for a run even in very rainy weather and the problem of water entering in and damaging the remote module or the earbuds is not there at all. This is a brilliant feature that isn’t seen on most earphones out there. To test this out, I gave the headset to my son who likes to play music when he takes a shower for a week, the water was never a problem and the headset delivered without a hitch. That is a big win in my books. Very big win. The other very thoughtful feature is Bluetooth v4.2. 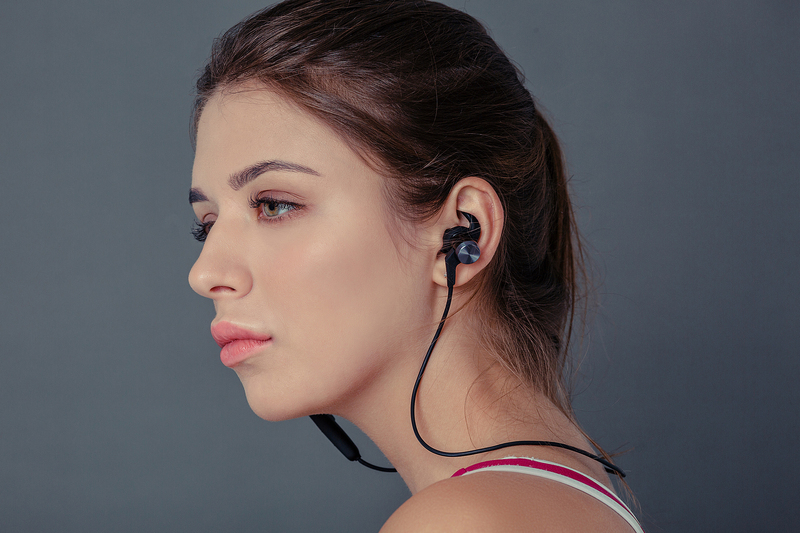 1More has said that with their Bluetooth v4.2 chip, seamless and faster streaming with crystal clear audio quality possible effortlessly and consistently, and it supports AAC HD encoding and decoding. The headphones also feature auto power off (in 5 minutes) when not connected to any Bluetooth device, to save on power. 1More has gone ahead and added the Bluetooth antenna in the in-line control itself. Most companies have this in the earbuds. The logic behind this is to reduce the radiation emitted from the BT antenna. By doing this, 1More claims that it helps reduce the electromagnetic radiation to the brain. I am sure that a lot of people will be relieved to hear that. Especially good if you are giving the headset to your kids and want to be doubly sure. Let’s now talk about sound quality here. On tracks with intense sub-bass content, the headset delivers solid bass response, and at top volumes, does not distort. The experience is not entirely bass-forward as one would expect from gym headphones. 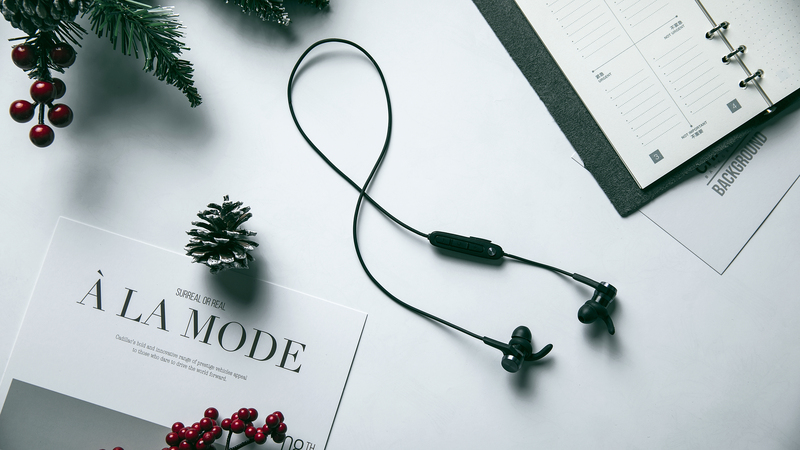 The high-mids and highs are boosted and very well sculpted, and the deep bass is a tad bit dialed back in comparison with many other in-ear Bluetooth options. What this means is that he quality of sound is top notch and there is no distortion even at high volumes. The bass though is not really bone-pounding but deep enough. There is also noticeable and very good separation – this means that ever instrument in your track is audible and crystal clear. Even for long runs and particularly prolonged use, the quality is consistent and great. I am not saying that the headset is perfect, but it is very nearly there. Next Article OnePlus 6 vs Asus Zenfone 5Z : Which One Is The Winner?